Since the early 20th century, calendar reformers have fought to smooth global commerce and unite humanity. But can adopting a new calendar bring people together in peace? Alexandra Mack earned a Ph.D. in anthropology from Arizona State University. Achelis’ “calling” to rationalize the calendar—giving the year four equal quarters, with fixed dates that remained the same every year—was her means to unite people around the globe through stability, harmony, and even world peace. She devoted herself to the cause for the next 44 years, promoting the world calendar, founding the World Calendar Association in 1930, and attracting the support and attention of prominent scientists, businesspeople, and politicians. Why did the calendar inspire such devotion? Calendar reform supporters wanted to fix the inconsistencies in the length of the months and quarters in the Gregorian calendar and eliminate the annual shifts in the alignment of dates to days of the week (for instance, January 1 might fall on a Monday one year and on a Tuesday the next). By doing so, they hoped to create peace and stability in the midst of the extreme political and economic changes happening in the West between the world wars. Things are arguably changing just as quickly, if not more so, today. And though Achelis died in 1973 and her movement eventually subsided, others have taken up similar causes to install a permanent, or perennial, calendar. Economist Steve H. Hanke and astronomy professor and former NASA astrophysicist Richard Conn Henry, both of Johns Hopkins University, have created the Hanke-Henry permanent calendar, which seems to be the current favorite option. As part of their new system, the world would do away with time zones and daylight saving time and instead abide by Greenwich Mean Time, which is currently used on the International Space Station as well as by weather forecasters and air control towers. As we move our clocks forward for daylight saving time this month, their plan might sound very appealing. But can such efforts succeed? The Gregorian calendar organizes days and months in a way that has been relatively successful. The product of millennia of astronomical observations and adaptations, it has undergone a fair bit of tinkering and refining over the years. Its origins reach back to an ancient Egyptian 360-day solar calendar made up of 12 months of 30 days each. Five extra days tacked onto the end brought it close to the earth’s rotation cycle of a bit more than 365 days. A version of this calendar found its way into the Roman Empire, which had primarily been relying on a lunar calendar of 304 days divided into 10 months. Eventually, a solar calendar was fully adopted by Julius Caesar in 45 BCE, which was called the Julian calendar. This calendar had slightly too many leap years, leading to new problems over time, most notably the gradual shifting of Easter away from the spring equinox. By 1582, Pope Gregory XIII approved new changes to account for these shifts. While it took over 300 years for his Gregorian calendar to be broadly adopted, it is the one most commonly used throughout the world today. It is kept in sync with celestial movements through regular leap days and, as of the 1970s, the occasional leap second as needed, such as at the end of 2016. Despite its success, critics have taken a variety of stances to argue for calendar reform. Nineteenth-century philosophers such as Auguste Comte, with their desire for a reasoned world, thought that the only way to usher in a logical positivist era was to create a science-based system to govern the new social order; a better calendar, which Comte called the positivist calendar, was part of this new framework. Other arguments for rationalizing the calendar arose in response to the advent of industrialization. The rise of factory work and the construction of the railroads led the United States to shift to standard time, ensuring that the clocks in Boston, Massachusetts, would be the same as the clocks in Philadelphia, Pennsylvania. Greenwich Mean Time was widely adopted in 1884, and over the following decades, time zones were standardized. For many, taking the step from synchronized clocks to a more coordinated calendar made logical sense. The plan for calendar reform that Achelis first heard about was promoted by George Eastman, founder of the Eastman Kodak Company, who saw a standardized calendar as a boon to business. He was a prominent lobbyist for the international fixed calendar, which divided the year into 13 months, each with 4 weeks and 28 days. An “intercalary” day was added at the end of each year (or two days—one also at the end of June—during leap years) to even things out. This sort of standardization made accounting for paydays, monthly expenses, and sales periods more consistent and predictable. In the 1920s, Kodak, as well as dozens of other companies, including the Fuller Brush Company and Sears, Roebuck, and Company, adopted this calendar for their own internal records. Kodak only retired the system in 1989. Ironically, for one who promoted unity, she and her disciples disparaged religious and cultural objections to calendar reform. The timing of the Sabbath was a concern for followers of religions that set the day of rest strictly as every seventh day; the World Days threw that schedule off, so every seventh day would not always land on the same day of the week. Her tactical adviser, Charles Morris, told The New Yorker, “of course, the Seventh-Day Adventists are opposed, because the last week of the year would have eight days, but that’s just their particular point of view.” Achelis was consistent in her belief that the objections of minorities should not override what she saw as the good of the whole. 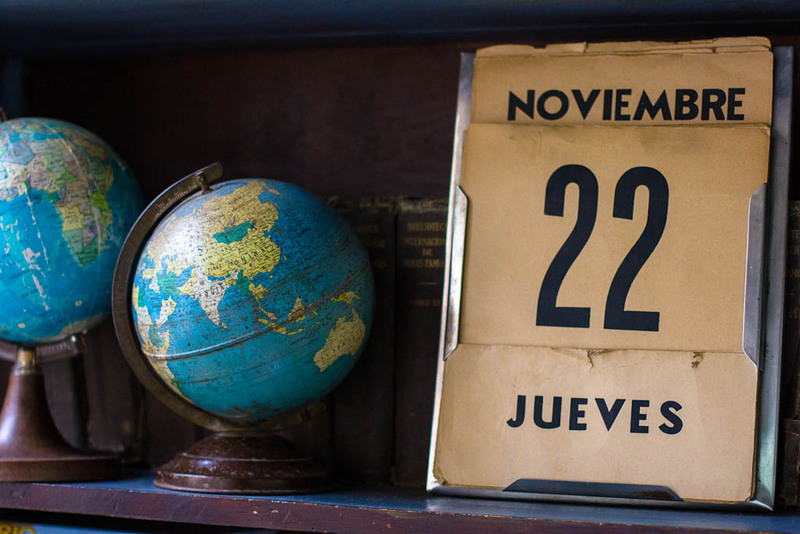 To the issue of national holidays celebrated on days no longer extant in the world calendar, she wrote in 1937, “March 31, which disappears from the calendar, is observed as a holiday only in Siam, Uruguay, and the Virgin Islands.” Thus the problem was, in her mind, dismissed. In 1934, the Federal Council of the Churches of Christ in America voted almost unanimously to support reform, with their report highlighting that “one result will be that instead of having Christians celebrating Easter, Christmas and other festivals on different dates, the whole Christian world will at least be one in this particular.” (Note that many Christian churches throughout the world still use the revised Julian calendar.) They pushed a new resolution on calendar reform to the League of Nations in 1937. With about one-third of responding nations in favor and many others simply indifferent, it did not pass. As World War II consumed attention in the 1940s, interest in a world calendar waned in light of more important issues. The calendar reform movement was forgotten by many. Achelis kept her World Calendar Association active, regularly publishing a Journal of Calendar Reform as well as books on the subject. For her, the issue became more urgent, and as time passed her writings became more religious and took on a greater concern with numerology. She developed an obsession with the number 12 and its square, 144. She moved the World Calendar Association office to suite 903 of the International Building, a unit in the Rockefeller Center, because the digits propitiously added up to 12. As her voice for change became more and more unconventional, some critics dismissed her movement with gender-based arguments: One writer threw disdain on what he called “women and their clubs.” With lack of broader support or funding, Achelis folded the World Calendar Association in 1956, though she continued lobbying for calendar reform until her death in 1973. Today’s arguments for a permanent calendar continue to pop up in the press every few years, spurred perhaps by grumblings about daylight saving time or some annoying year-to-year inconsistency in holiday dates. The Hanke-Henry permanent calendar, based on a 12-month year divided up into four quarters, does have its appeal. The three months of each quarter would occur in a cycle of 30, 30, and 31 days. Instead of World Days, this calendar has an entire leap week added once every five or six years to bring it back in step with seasonal cycles. And daylight saving time would be a thing of the past. Current arguments in favor of these systems are usually economic, echoing sentiments Eastman expressed. As Hanke and Henry write, “How much needless work do institutions, such as companies and colleges, put into arranging their calendars for every coming year?” These days, supporters tend to gravitate toward the unifying call of business more than the promise of world peace. Calendar reform as a means to achieve social unification continues to face an uphill battle. Timekeeping systems are social constructs, and people feel a need to hold on to their traditions through those constructs. Yes, the world is becoming more and more of a global community. But for many, their calendar remains sacrosanct. As Achelis herself perhaps should have learned, trying to force a new calendar on the world, rather than finding gentler ways to build bridges across cultures, is unlikely to be met with success.